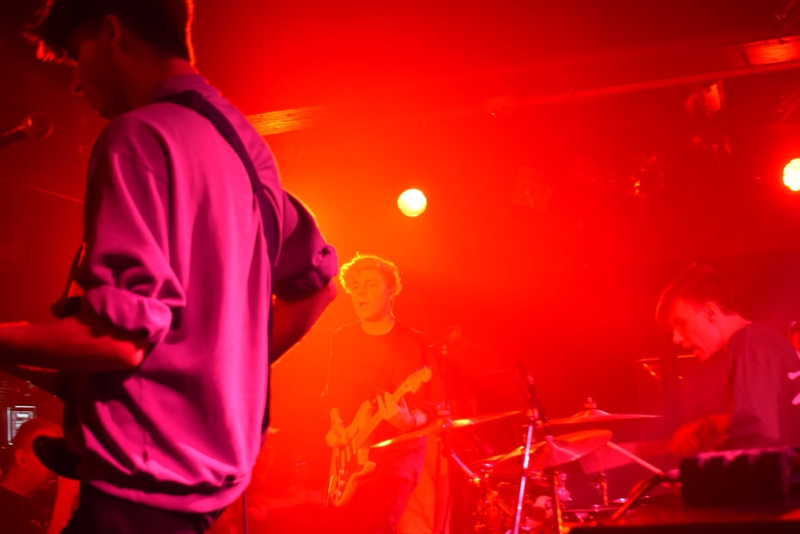 Chelmsford lad, Connar Ridd bought his fast pace, grungy rock, freakshow to the Norwich Waterfront last Wednesday in aid of Indie-Rock heartthrobs’ Sundara Karma. Newcomers Freak joined Sundara karma on their September UK tour, to a gloriously positive reaction from the Norwich crowd. Prior to Freak’s arrival on stage, the drunken chatter from the crowd confirmed most of the youthful audience had ‘no idea who Freak are’. 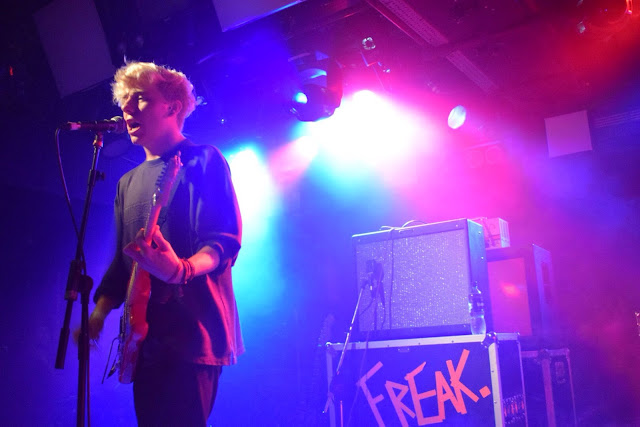 For those who had heard Freak’s breakthrough Single ‘ What Happened?’ compared him to a grungy version of ‘Ratboy’. 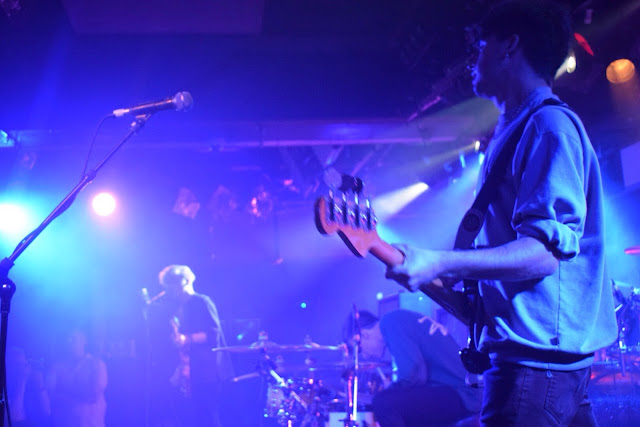 It was great to see Connar(vocals), Sam(drums) & Jonn(bass) blow away any preconception the audience had by launching into the underrated intro banger ‘Floating High’. From then on, the carnage was ensured for the rest of the set. Throughout the seven-track set, Connar spurred on the crowd to keep going mental, before jumping off stage and immersing himself in the crowd at the barrier. Even if the band has only been around for a short while, the musicianship and camaraderie between the three budding musicians were superbly tight. Freak concluded the set with their biggest song yet, ‘What Happened?’Amusingly, the now pumped up audience had changed their minds about Freak after the chaotic set. 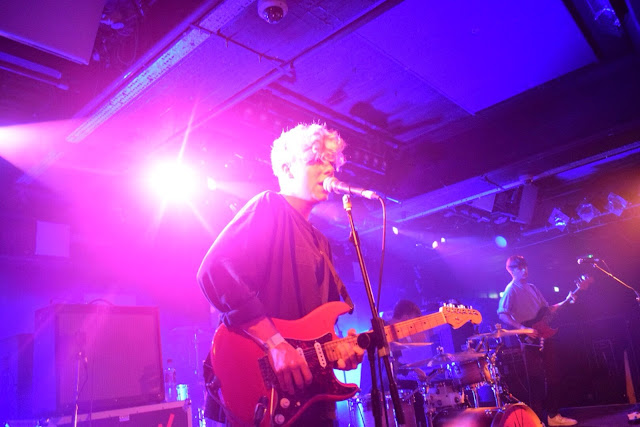 Evidently, the buzz they have caused whilst on tour with Sundara Karma will only further their growing reputation as a rowdy and exciting live band. FREAK is playing The Neighbourhood Festival on the 8th of October. Alt-Grunge Freak Gig Review Neighbourhood Festival Norwich Sundara Karma The Waterfront What Happened?